“Fighting against enforced disappearance is fighting against the impunity of time” - Louis Joinet. Every year, tens of thousands of people disappear across the world, victims of state purges and of totalitarian regimes. For families, uncertainty about the fate of their loved ones is an intolerable suffering. Since 2011, the number of enforced disappearances in Syria has grown considerably. In North Korea, there are an estimated 200,000 people allegedly victims of abductions and enforced disappearances. It is therefore crucial that the international community remains committed to the fight against this unacceptable practice. On 17 February 2017, the United Nations commemorates the 10th anniversary of the Convention for the Protection of All Persons from Enforced Disappearance. On this occasion will be held a high-level event organized by the President of the General Assembly, and co-sponsored by France and Argentina,. France will be represented by Matthias Fekl, Secretary of State for Foreign Trade, Promotion of Tourism and French Abroad. 1. What are “enforced disappearances”? "It’s a strategy to make people disappear, it’s a strategy to eliminate groups of opponents. The most terrible case is what we call the "death flights ". The person is arrested, attached around a rail, shipped into a helicopter or an airplane and dumped into the open sea." - Louis Joinet, former magistrate, craftsman of the Convention for Enforced Disappearances. Enforced disappearances are abductions or deprivations of liberty for political reasons followed by concealment of the fate of the missing person. The authors of these disappearances act for the account or with the approval of the State. These unsolved and unpunished disappearances constitute serious violations of human rights and are considered as crimes under international law. It is essential to fight them, to carry out the necessary investigations and to prosecute those responsible. The Convention frames the action of State Parties to this end. 2. What is the Convention’s purpose ? • it also serves as a prevention tool with monitoring and early warning mechanisms. The Convention was adopted by consensus at the UN General Assembly on 20 December 2006 and opened for signature in Paris on 6 February 2007. In 2008, France was the first European country to ratify it. The Convention entered into force on 23 December 2010. To date, 96 countries have signed the Convention and 56 have ratified it. Finally, the Convention on Enforced Disappearance establishes the Committee on Enforced Disappearances, which monitors implementation of the Convention by the States Parties. 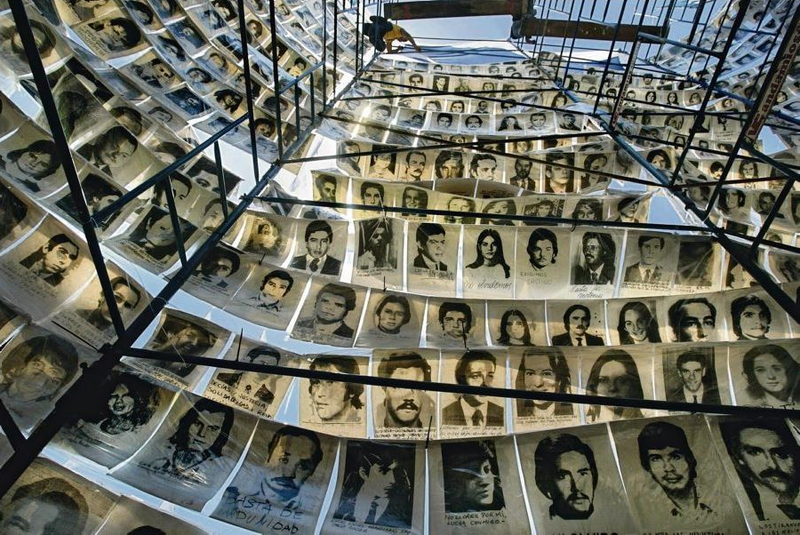 • co-chaired with Argentina in December 2016 the first Conference of the States parties to the Convention on the Protection of All Persons from Enforced Disappearance, where the Parties decided to maintain the Committee on Enforced Disappearances. To this day, France remains strongly engaged and continues to work for the universalization of the Convention for the Protection of All Persons from Enforced Disappearance.